I’m a firm believer that a good sauce can totally make a meal. 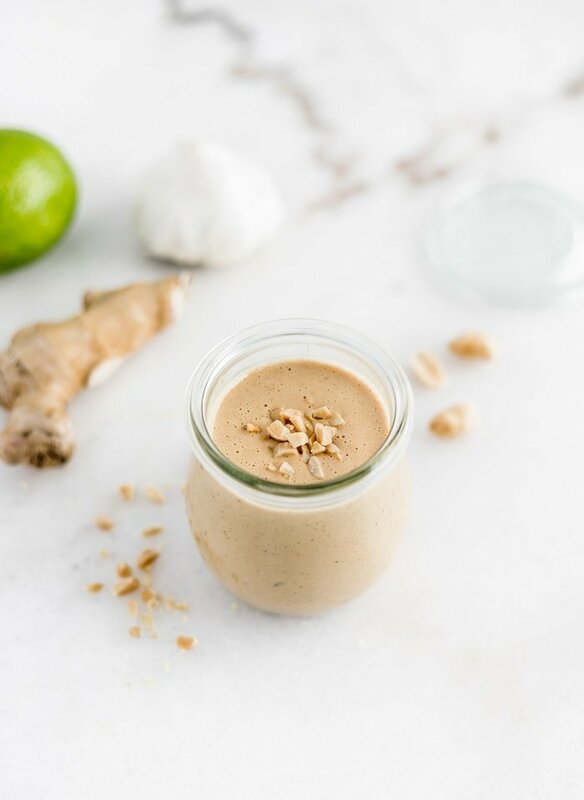 I have a few essential sauce recipes in my repertoire that I know I can count on to take a meal from decent to outstanding – tzatziki, chimichurri, turmeric tahini sauce, and this – Thai peanut sauce. This delicious Thai peanut sauce is everything you need in a sauce. 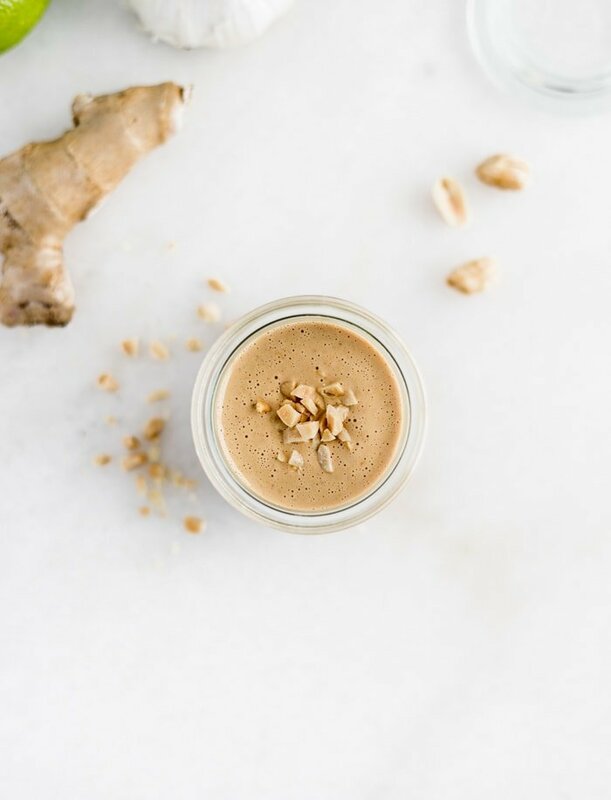 It’s easy to make in 5 minutes with just a few simple ingredients. It tastes heavenly, and it can go on just about anything. It’s a sauce that truly does it all! 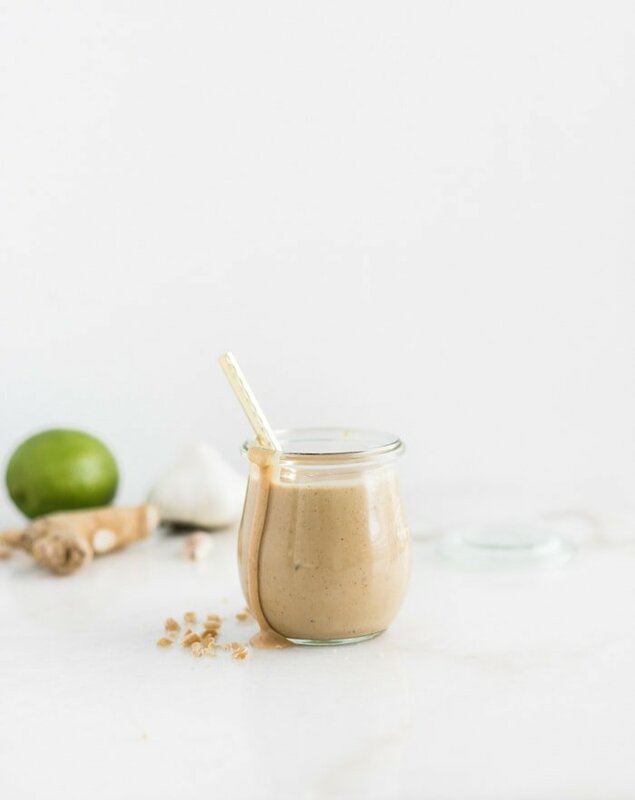 You can adjust the amount of water you add (if any) to make this all-purpose Thai peanut sauce work for what you’re making. I add no water if I want it fairly thick for dipping spring rolls or lettuce wraps. I’ll add a little water if I want to drizzle it on a rice or noodle bowl. And I add more water to thin it out if I want to use it as a salad dressing or a sauce for noodles. 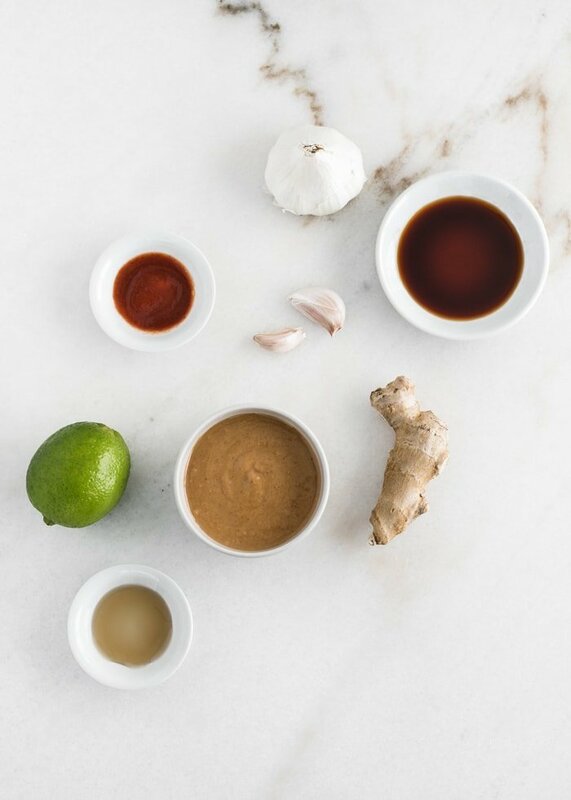 This peanut sauce is also easy to customize to fit your taste and dietary preferences. Add more sriracha if you like a lot of heat. You can also make it gluten-free with tamari and vegan with agave nectar instead of honey. 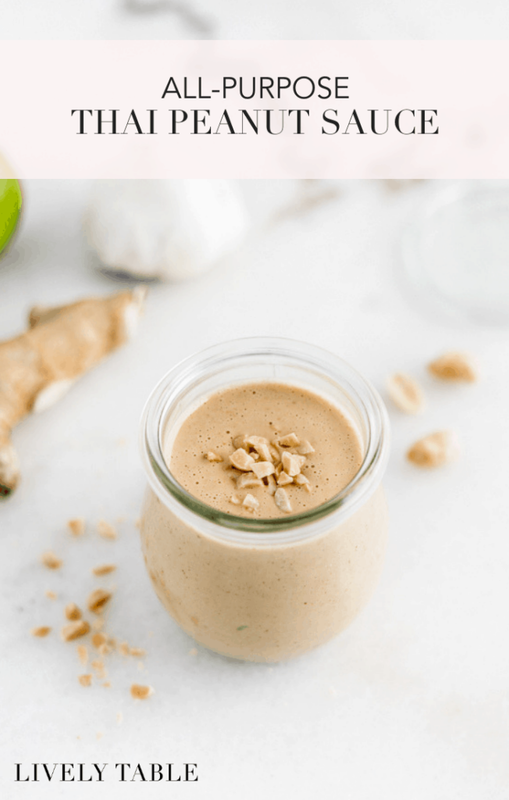 If you don’t already keep the ingredients for this easy Thai peanut sauce in your pantry, I suggest you stock up, because you’ll want to make it over and over!